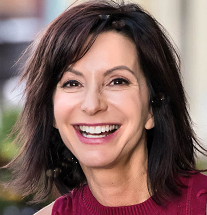 Veteran Milwaukee air personality Karen Dalessandro is named the new afternoon personality WKLH-FM (Milwaukee's Hometown Rock). She'll host weekday afternoons from 3-7pm along with a weekend show TBD. Dalessandro joined WKLH to fill afternoons on a parttime basis in December, 2018. Before joining WKLH, Dalessandro was heard doing mornings on crosstown WMIL and later hosted afternoons on WKTI. Dalessandro remarked, "I've come full circle. That's the best way to describe my arrival on the afternoon show at WKLH. David Bowie, Zeppelin, Aerosmith and KISS were all staples on my turntable in high school so when I landed my first radio gig at a rock station in Michigan, I was definitely the coolest of all my friends." Milwaukee Radio Group Operations Manager Bob Bellini added, "I was immediately interested in bringing Karen to the Milwaukee Radio Group, and specifically WKLH, when she became available. Karen has an established fan base, roots in rock radio, and a deep desire to engage with listeners. Her professionalism and outgoing personality have impressed our entire team."